Today lets talk about nonattachment, an important mindfulness concept often misunderstood. Nonattachment is being aware of all your preferences, and letting them go. Observing your self, you can see where you’re attached in your life. What you resist letting go. People, things, places, thoughts, emotions, sensations, it’s an endless list. What do you cling to? 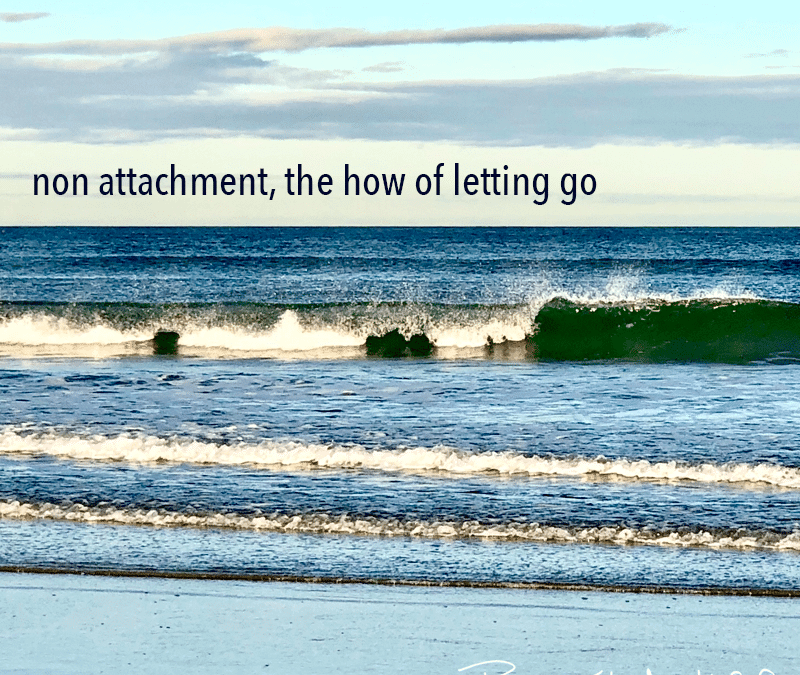 Learning to let go is important because attachments block our joy. Attachments cloud our vision and fuel our Inner Critic. Simply put, it goes like this. Our egos are comfortable with what’s familiar and want to avoid change. Egos like to be seen, so we’re attached to our image. And the ego is a mental structure, driven by fear. So we’re attached to our survival. But wait! Our ego is not the bad guy here. It’s an important part of who we are. Our ego is only a problem when it keeps us stuck in limited beliefs and destructive patterns. Focusing on the space between your thoughts and emotions in meditation, short circuits the complicated process of letting go. There is no content in the space between your thoughts! No ego and no attachments.